This blog post contains reviews and information on each of the books in the Donet Trilogy. It is a lengthy post, so if you are interested in a specific book, click on the title below to move to that specific book. Don’t forget to read all the way to the bottom where there is a giveaway. All Claire Donet knew was the world inside the convent walls in Saint-Denis. She had no idea her beloved papa was a pirate. But when he seized Simon Powell’s schooner, the English privateer decided to take the thing his enemy held most dear…her. This is the first book I’ve read by this author – and I loved it. The story is well written, well-plotted and just downright exciting. 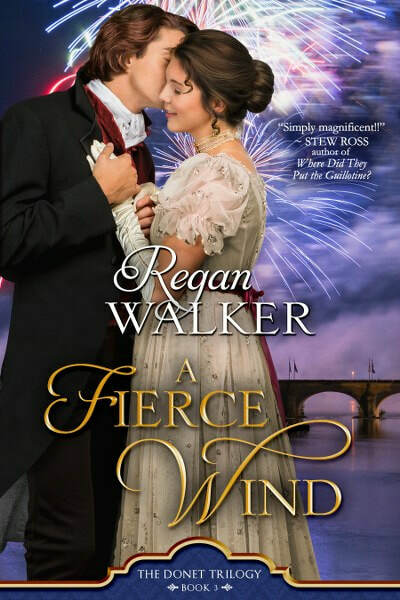 Goodness, you have just about everything – a wonderful romance, PIRATES, spies, privateers and yes – the American Revolution. While it doesn’t take place in America, it does deal with the tensions between England and France because of France’s support of the Americans. Simon Powell is a privateer and a spy for England. He’s not against American independence – he just wants to support his country and this will gain him some favor among those who can help him in his goal of establishing a shipping company. He has two ships – and one has just been boarded and taken by the French pirate/privateer Donet. Simon will do whatever it takes to get his ship and crew back! What is Donet’s vulnerable point? He has a daughter that nobody knows about and she is unprotected in a convent school. All Simon has to do to get his ship and crew back is kidnap the girl and then trade her for what is his. Claire Donet knows nothing of her father’s real life. She has been raised inside the cloistered walls of a convent and believes that her father is a prosperous merchant. Claire is a spitfire until something happens when she is sixteen and she feels terrible guilt. She has now committed her life to becoming a nun. Late one evening when Claire is in an exhausted sleep, she awakens to find herself being gagged, bound and lowered out a window. Her next stop is aboard ship and off to England. Jean Donet, Claire’s father, and Simon play a game of cat and mouse between England and France – each trying to gain back what is theirs. At the same time, Simon and Claire are growing closer and closer. How will they be able to let go when the time comes and Claire has to go back to her father in exchange for Simon’s crew. This was an excellent read and I thoroughly enjoyed it. Now, I’m looking forward to reading the next books in the series. Jean Donet is a self made man, disowned by his father for marrying the woman he loved, Jean walked away from his aristocratic life without a second thought. To support his wife, he turned to the sea, as a privateer, spy and smuggler. 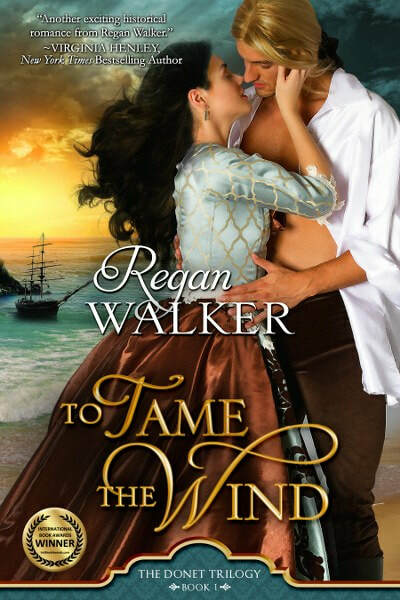 When his wife dies, Jean is sure that he will never love again, he puts all his passion into his work, but a chance meeting with a smuggler and the death of his father and brother will change everything. 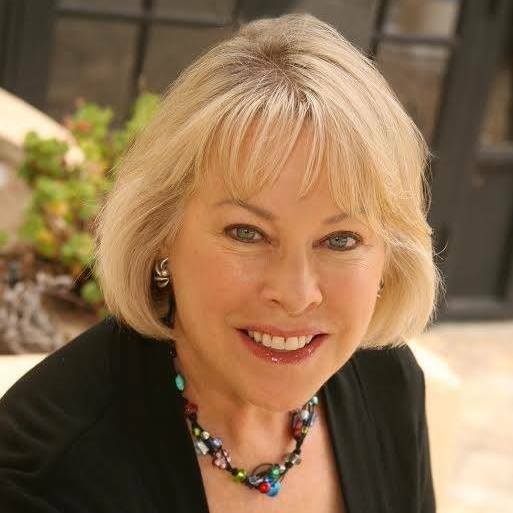 Lady Joanna West is the sister of the Earl of Torrington and she too has known her share of loss, when she learns the villagers on her brother’s estate are engaged in free trade, she jumps in to help. She formally meets Jean at a reception for the Prime Minister – she is attracted to him, even though he is much older than her and has a married daughter not much younger than Joanna. Jean immediately recognizes Joanna as the smuggler he met and becomes fascinated with her. When another smuggling run brings them together and things go wrong, a revenue ship tries to capture them. And in the midst of the battle, Joanna is shot, leaving Jean no choice but to take Joanna with him. He cares for her wounds and insists on taking her to France to his surgeon. But once they arrive, he is not ready to let her go. Together they will journey to his family estate and on to Paris trying to figure out they mystery of his father and brother’s deaths. Along the way, Jean will discover that his heart didn’t die with his beloved wife, but with war on the horizon, can love blossom between them? I thought this was a very good story, but the first half is a bit wordy and there is a lot of information that is interesting, but really not necessary to the story, once they get to France, things pick up and don’t stop until the very end. The characters are likeable, the writing is good, the love scenes are mild and the ending is sweet. This is the second book in the Donet Series, but it can be read as a standalone with no problems. Fredrick “Freddie” West is the younger brother of Lady Joanna and Zoe Donet is Jean’s niece and ward from Echo in the Wind- this book opens 6 years after the end of that story and grabs the reader from the first page. Freddie is in love with Zoe and has been since she was 16, but he has waited patiently for her to see him as more than just a friend. He has been working for Jean and for the crown as a spy, but Zoe is always his top priority. After the death of Henri, a man she thought she loved, Zoe has thrown herself into the royalist cause in revolutionary France – she helps nobles destined for “Madame Guillotine” escape to England. The work is dangerous, but she feels it is what she must do. Freddie is always ready to help and when one of her missions goes wrong, it is Freddie who saves her and is shot in the process. Freddie’s injury is the turning point in their relationship, for the first time Zoe sees Freddie as an attractive, eligible man, but it won’t be until they go to Brittany on a mission together and Freddie willingly sacrifices himself to save her that she realizes she loves him. But is it too late? This was another fascinating story chocked full of historical events during the darkest days of France’s history. Zoe and Freddie are wonderful characters and are supported by several characters from the previous book, especially Jean and Joanna. This book was a page turner, filled with action, danger, sea battles and a slow burning romance. For those who don’t care for graphic love scenes, this book is for you, the book has basically no love scenes (save a couple of kisses and a closed door bedroom scene) – I personally would have liked a bit more heat, but the story doesn’t suffer from the lack. This is the third book in the Donet Series and I would recommend reading Echo in the Wind first, but it could be read as a stand alone title. I love walker’s books. 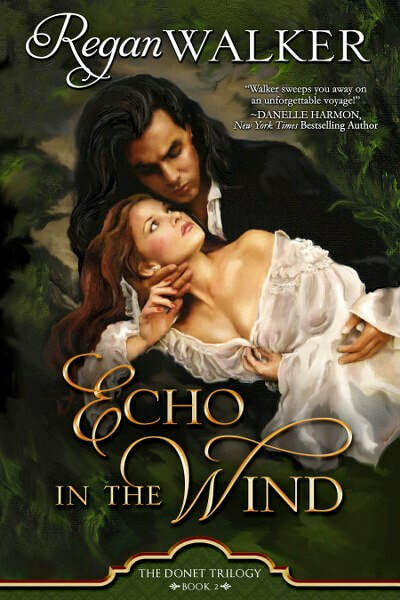 Echo in the Wind is one of my favorite covers. She’s a new-to-me author, but I certainly like what I’ve read so far!